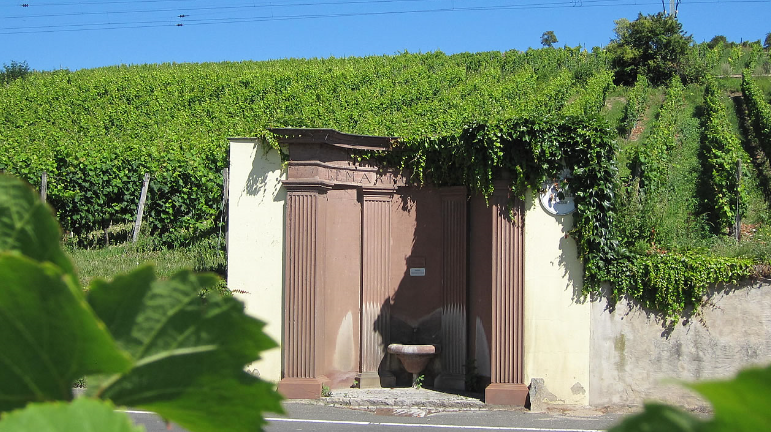 Single location in the municipality Erbach in the German growing area Rheingau, The name goes back to the 13th century and is reminiscent of the fountain "Markenburne" on the boundary between Erbach and Hattenheim. In 1810, a curious border dispute between the two communities arose, which is still visible today. The municipality Erbach had namely on its side of the well the following inscription in stone: Marcobrunn community Erbach . The Hattenheimer write in response to their side of the well: so it is right, so it should be. For Erbach the water, for Hattenheim the wine . The name Marcobrunn was already in the 18th century a quality mark and was already cited in 1726 on bottle labels. This page was last modified at 21 April 2018 at 09:28.